Cook frozen meals in a snap, or heat coffee, soup and leftovers in no time. Ten power levels help prevent undercooking and overcooking to match your dish. Built-in sensors detect steam emitted by the cooking food, and then automatically adjust the cooking time, so you can focus on the next item for prep. By turning food items as they are prepared, the turntable ensures even, thorough cooking. Choose whether the turntable rotates or not to accommodate a wide range of dish sizes. Keep your kitchen smelling like home with 400 cfm motor class high-performance venting that quickly gets rid of smoke, odor and moisture (performance varies based on installation). 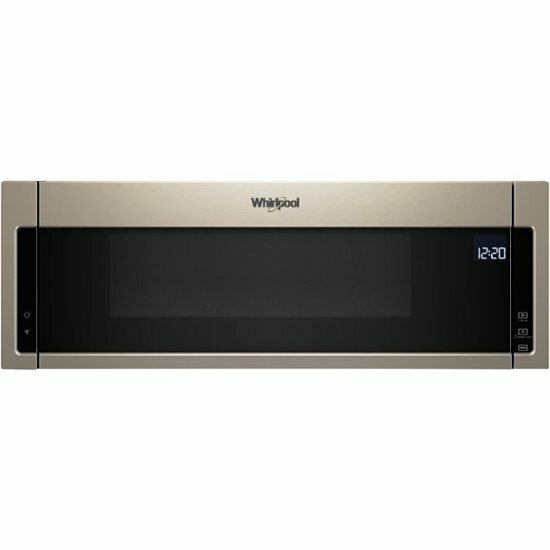 Click the button below to add the Whirlpool - 1.1 Cu. 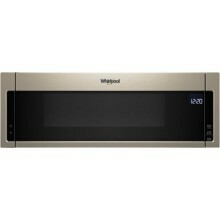 Ft. Over-the-Range Microwave with Sensor Cooking - Sunset Bronze to your wish list.